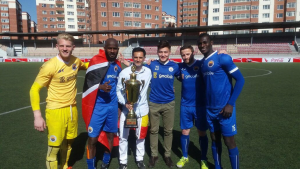 We are to announce that Seon Power and Desmos Kouasi has won the Mongol Super Cup with Ulanbaatar FC. 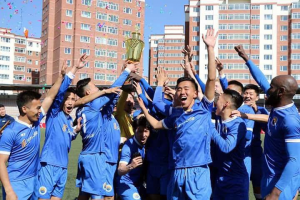 Ulanbaatar FC has faced against the 2017 League Champion, Erthim FC and defeated them by 4-2. Seon Power has made a goal, and Desmos Kouassi has made a goal and an asisst to contibute to win the title.